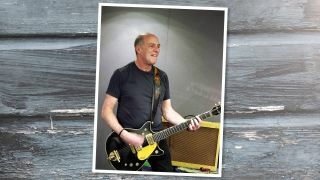 10 questions for Loyd Grossman: "I don’t really collect guitars; I like buying guitars that I can play"
He’s a renowned gastronome, but not a lot of people know Loyd Grossman’s also a pretty tasty guitarist - so how will he digest the 10 questions we ask everyone? 1. What was your first guitar? 3. What’s the oldest guitar that you own? “I’m not much of a geek in terms of checking the serial numbers, but it’s a late-'50s Les Paul Junior TV. It’s a single-cutaway one. The thing is I don’t really collect guitars; I like buying guitars that I can play. 4. When was the last time you practised and what did you play? 6. What are you doing five minutes before you go on stage and five minutes afterwards? 7. What’s the worst thing that’s ever happened to you on stage? 9. What advice would you give your younger self about the guitar if you had the chance? 10. 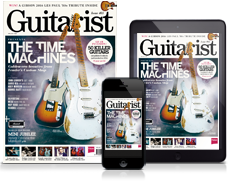 Is there a myth about you or your guitar playing that you’d like to set the record straight on? Loyd Grossman’s new album with his band The New Forbidden Songs From The Subway is available now on Cadiz Music.